The Barnwell – 2248 sq. ft. 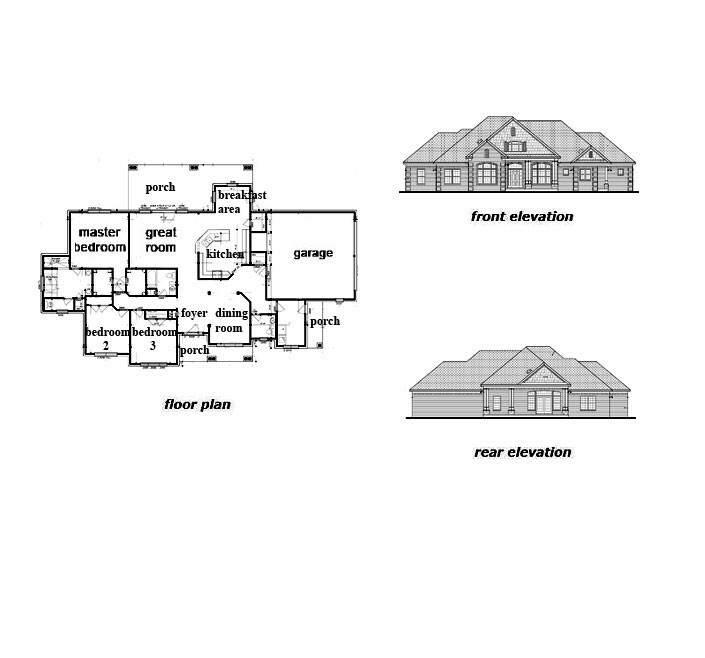 This gorgeous country brick ranch is just waiting to be built with all your personal touches and style! THREE covered porches, front, back and side! 3 Bedrooms, 3 Bathrooms, perfect for a growing family. The kitchen is wraparound and has plenty of counter space, plus an ajoining breakfast area overlooking the back porch. There’s a private dining room as well. The master Bedroom Suite has a very large bathroom with jacuzzi and shower, as well as a walk-in closet. The spacious 2 car garage has plenty of extra room for storage. Let Jeda Homes build this from the ground up on your lot, and you’ll be relaxing in the home you always wanted a lot sooner than you think! Jeda Homes works with you every step of the way to make sure every facet of construction adheres to your personal taste, style and need. Our customers are treated like members of our own family. Discover what a joy it can be to build your own home. Contact Us today!